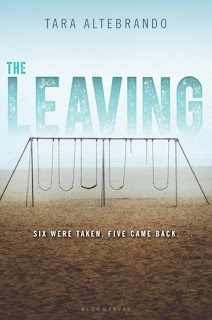 Google+ Reading Teen: THE LEAVING by Tara Altebrando \\ BEWARE OF THIS BOOK!! 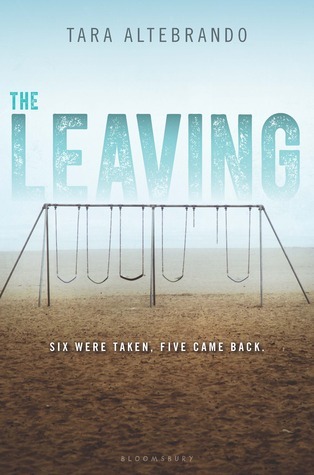 THE LEAVING by Tara Altebrando \\ BEWARE OF THIS BOOK!! This unforgettable novel--with its rich characters, high stakes, and plot twists--will leave readers breathless. If you don't have time to neglect your life, this is the NOT the book for you. I am not sure what happened in my life, while I was reading this book. I'm pretty sure I even lied to get back to the story, at one point. I loved (so so so much) this book. The story starts with a group of children returning from an unknown place. Only five out of the six children, who disappeared 11 years earlier, return. They have no memory of where they have been, who took them or the past 11 years. Told from three points of view, in third person omniscient, this story was like a swift (interesting, amazing, mysterious, smart) flowing river. 1. Lucas, one of the returned. 2. Scarlett, another returned. And 3. Avery, the sister of the only unreturned character. I loved how well these main characters gently unfolded the story. The Leaving was a wonderful literary potpourri. The story contained love, family, longing, mystery, identity, happiness, drama, sympathy, excitement, memories, a book, aliens, kidnapping... I'm probably missing some, but you get the picture. Taking place across eight days, each character brought us closer to the answers everyone is looking for. And you are not left hanging! We find out all of the answers in the end. 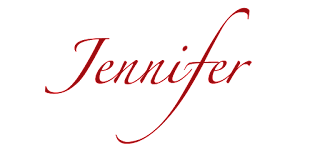 If you read as captivated as I did, you'll know quickly! I loved all the characters and what they brought to the story. (Even the less-developed characters were interesting, sparking wonder and skepticism.) In this book we discover what our identities mean, how they develop and how memories affect us. The Leaving by Tara Altebrando is an exhilarating roller coaster that will satisfy your need...for a spectacular story. Go. Read. This. Book.